Recently, the Canadian Women in Mining described me as a risk taker when I was named their 2015 Trailblazer, a title which was both an honour and surprise. Me, a risk taker? Here's the thing: I declined the opportunity to bungee jump in New Zealand, I always take a huge medicine bag to Mexico (just in case I get sick), and I prefer dividend paying investments. Not only that, but I worked at the same company for 26 years -- never abandoning ship, even at the bottom of the commodity cycle. Others also questioned my decision to expend personal capital in order to encourage the inclusion of women. I didn't consider the risk when I got on my big white horse and demanded that women attend sales meetings. It was easy to dismiss antiquated arguments that they would hear foul language. Similarly, I shone a light on our need to get more women in management and on our board of directors. My passion and conviction helped me plough ahead, never allowing myself to be derailed. In his nomination letter for the Trailblazer award, my company CEO said that when he returned from business trips he would often wonder whether his senior executives had done enough in his absence. In my case, he would worry that I had done too much! Not getting ahead of the boss is safer, and though my riskier strategy was productive, it didn't leave much room for error. I don't think that these attributes make me special; in fact, I believe they are typical of women. We take risks by fearlessly confronting opposition when it comes to ‎taking care of our employees, following the ethical path, or ensuring that the company follows through on its commitments to stakeholders. We are very 'other oriented'. Furthermore, we don't perceive this as risky. We simply assume that we are just doing the right thing. The traditional view of risk is taking the big financial bet, and in my experience this is where men excel. Women, however, always look at the people and the effect of the big bet on the company's relationships. 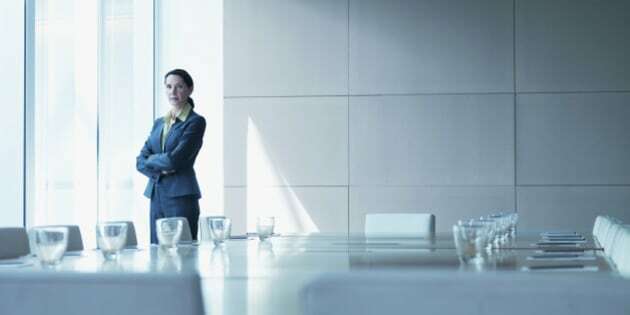 It can be a dynamite combination when these diverse perspectives are considered together, so organizations are well-served to have both men and women at the decision-making table. The contrast provides a compliment, improving the outcome. Women are different. We see the world through an altered lens and therein lies our value. Putting forward diverse points of view feels risky. We don't get the praise we crave and, even worse, we get criticized. However, when our projects are successful and our stakeholders happy, all is forgiven (we may even be lucky enough to win an award). If you are a woman working in a male-dominated environment, take pride in the fact that you are already a risk-taker. Then bring forth your special gifts and talents, because the more you do it, the easier it will be, and the more success you are sure to have. These are all risks worth taking. You will benefit, but more importantly, so will all those you care for -- and that's the biggest motivation of all.